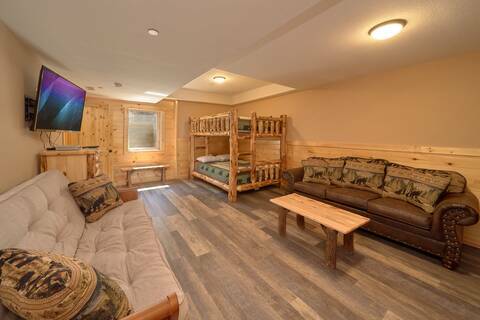 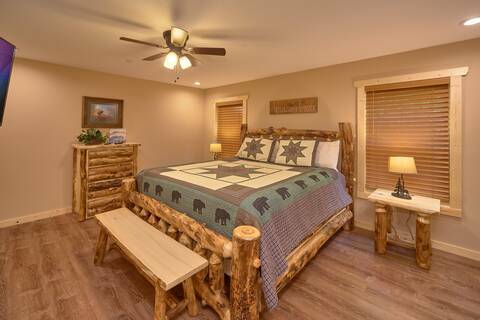 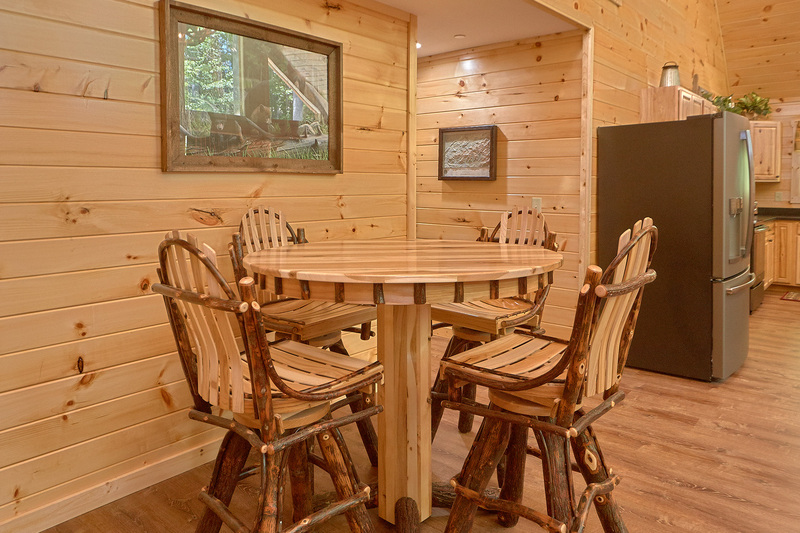 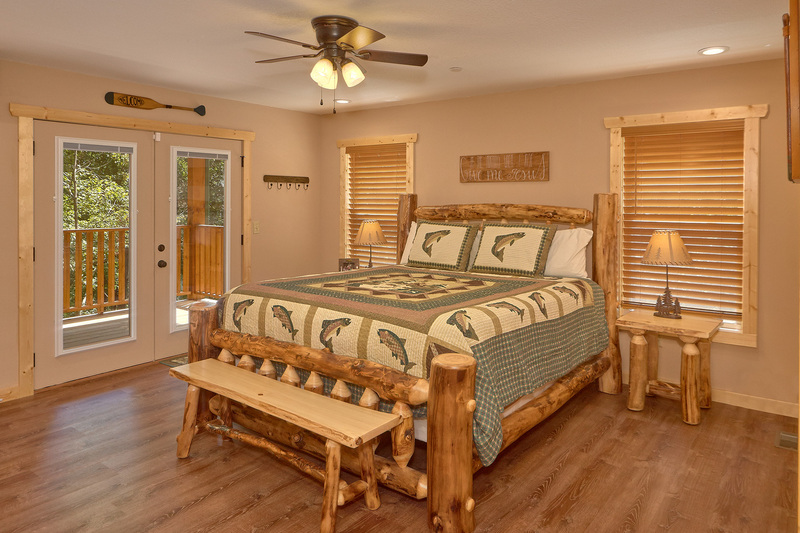 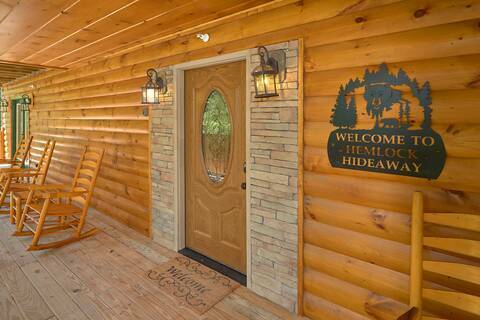 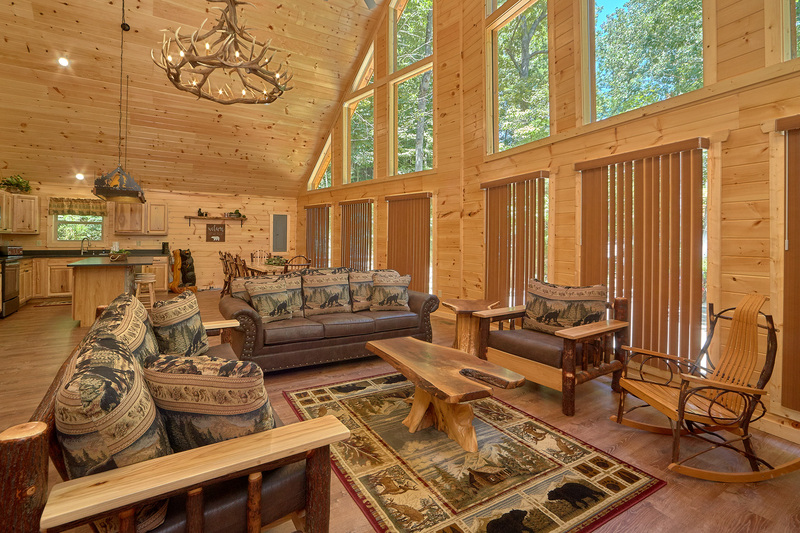 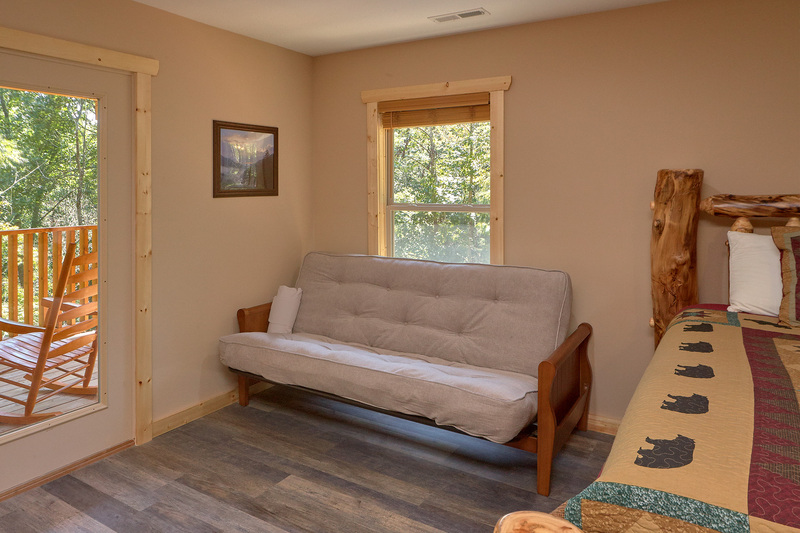 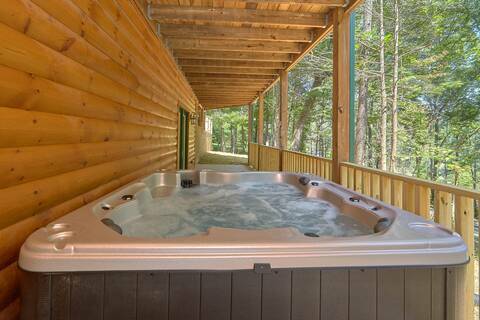 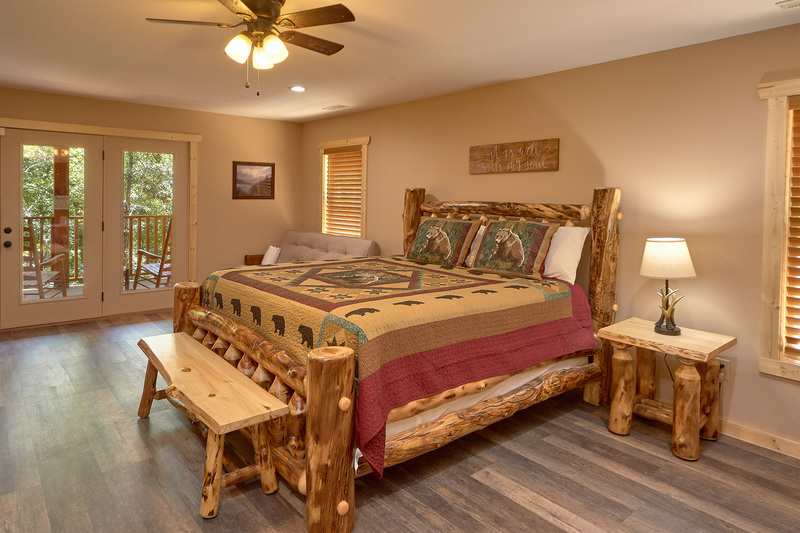 The BRAND NEW Hemlock Hideaway Lodge is an incredible 4 bedroom, 4 bath cabin that sleeps up to 18 people in luxury with lots of privacy and a central location to all the Smokies has to offer. 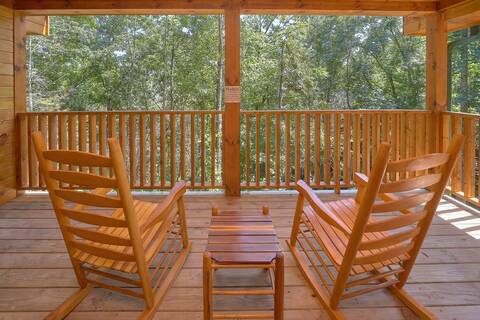 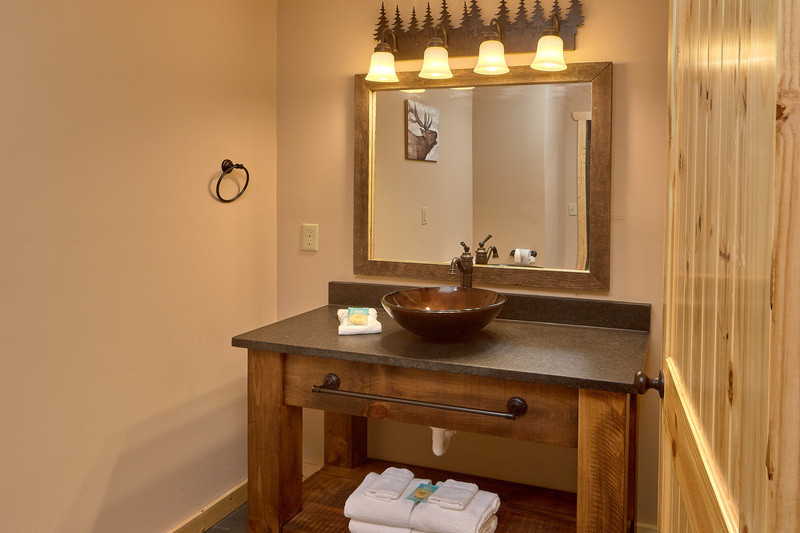 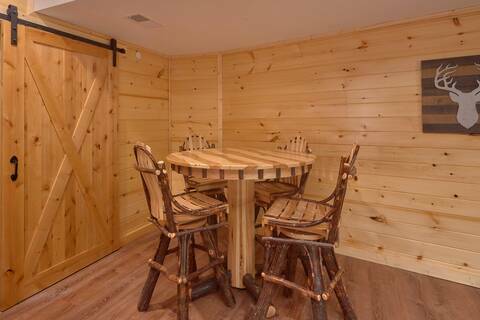 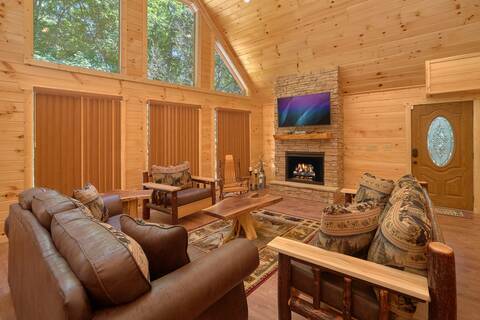 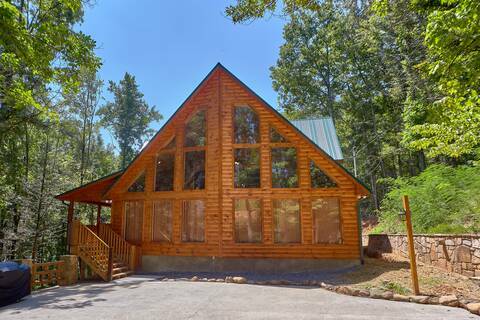 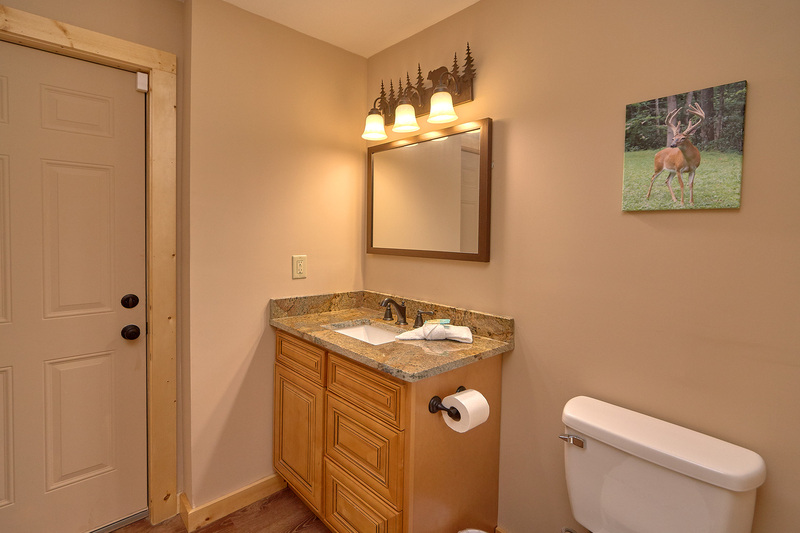 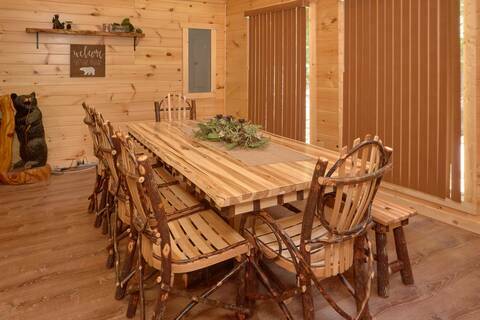 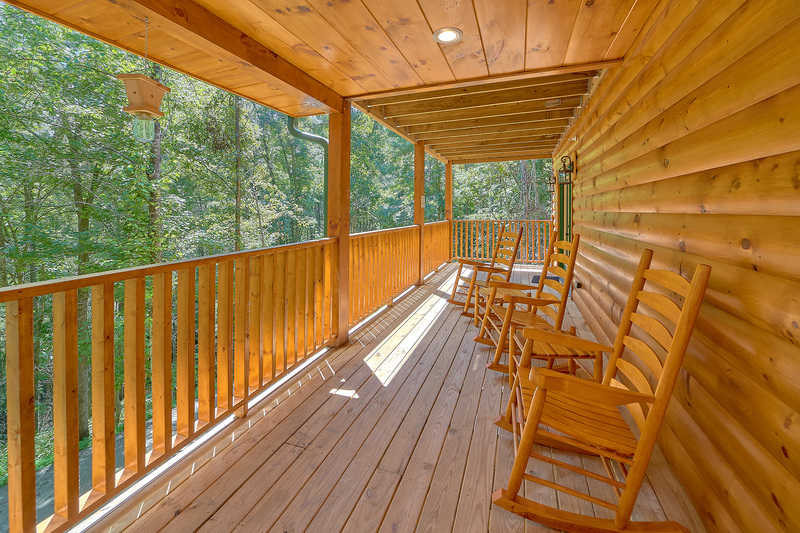 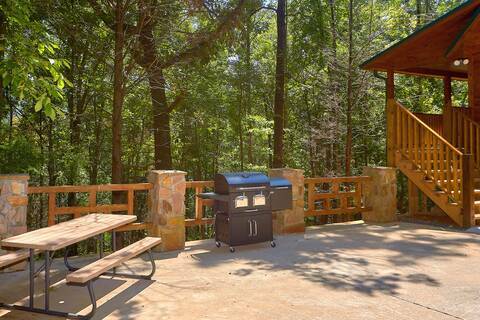 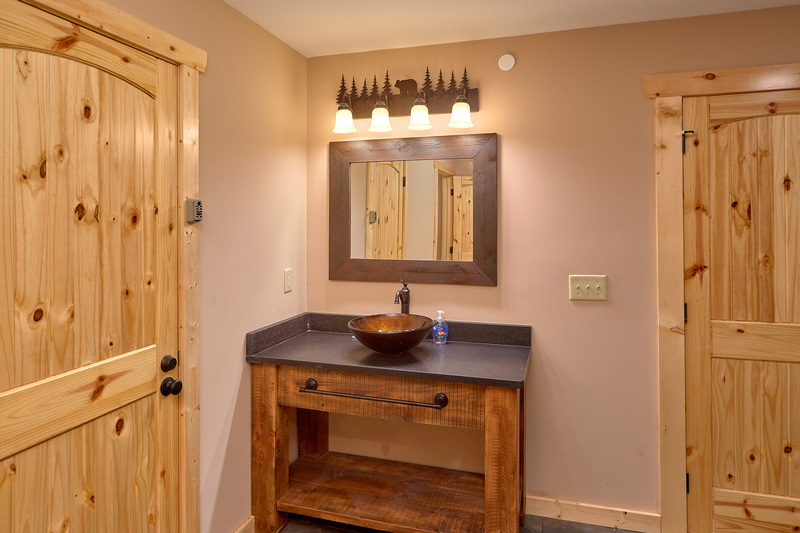 This Smoky Mountain cabin is loaded with incredible amenities that are sure to give your group a wonderful experience! ***MAIN LEVEL: Just turning in to the parking lot of the Hemlock Hideaway Lodge will give you an idea of what is on the inside! This place is huge! Walk up about 8 steps to the covered porch and enter through the front door.... WOW! The main level is designed with an open floor plan. 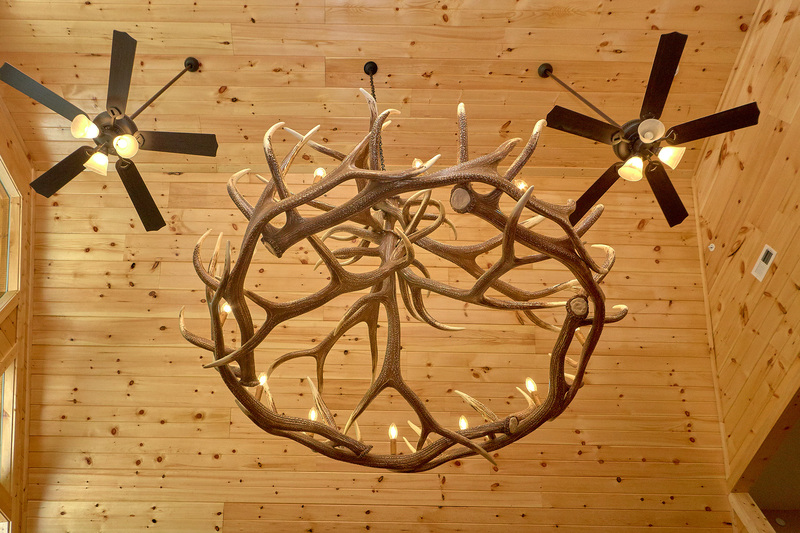 You are greeted by tall cathedral ceilings and a huge Elk Horn Chandelier. A stone fireplace topped by a 55 inch curved HD television is positioned on one wall, and dining room seating is across the room on the other. 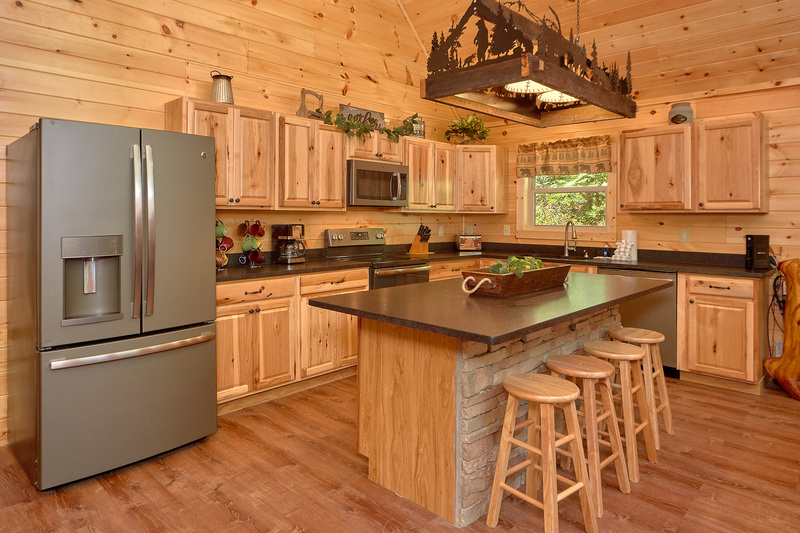 An open kitchen can be seen here with all of the appliances, dishes and cookware to prepare a full meal. 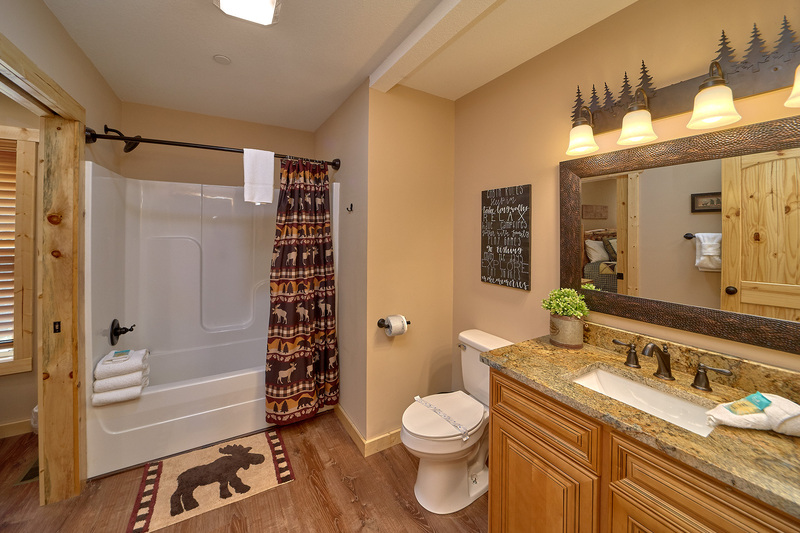 There are 2 bedrooms on this level, each with a King sized bed, walk in closets, and its' own private bath. Add in a sleeper sofa in the living room and this level will sleep 6 people. UPSTAIRS LEVEL: The master suite can be found upstairs. 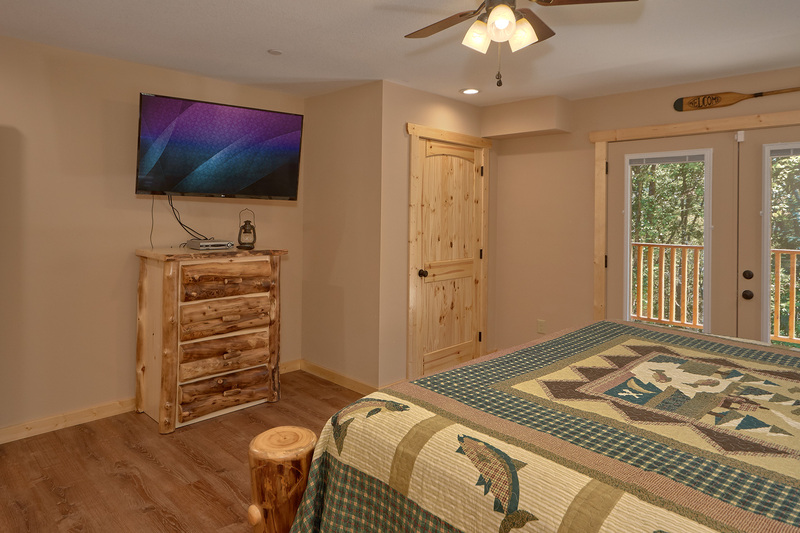 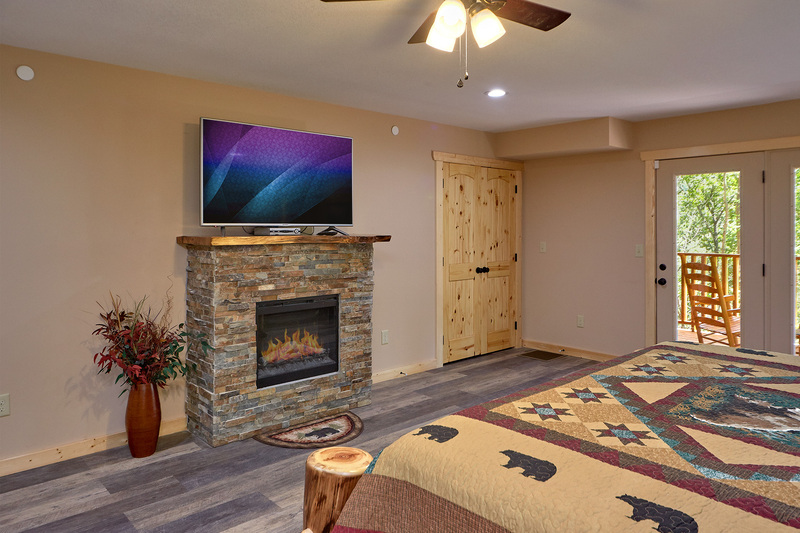 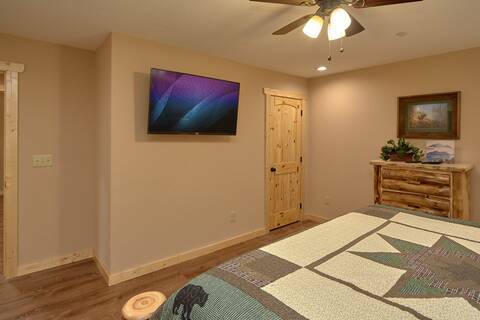 A large private covered porch, A king-sized bed, a 55 inch flat screen tv, a stone hearth with electric fireplace and a walk in closet are just the beginning of this suite. 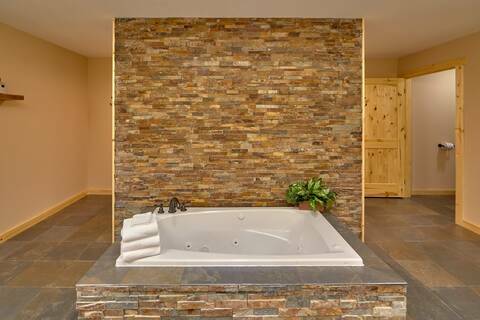 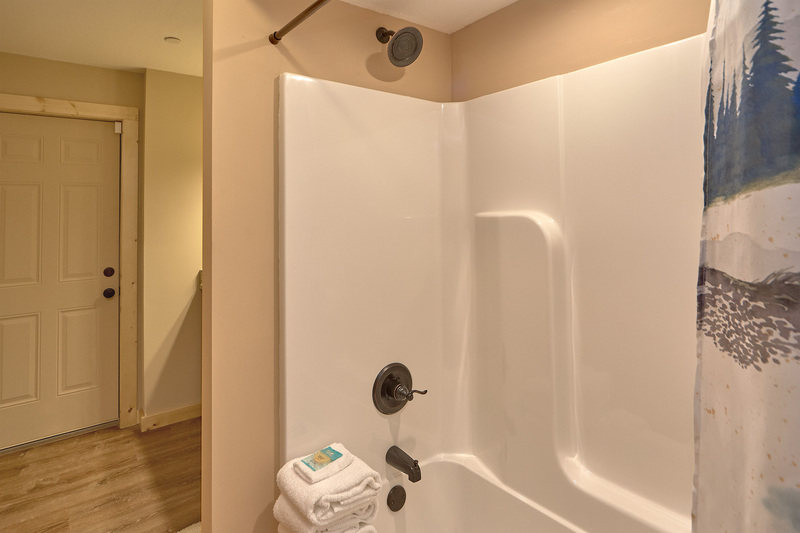 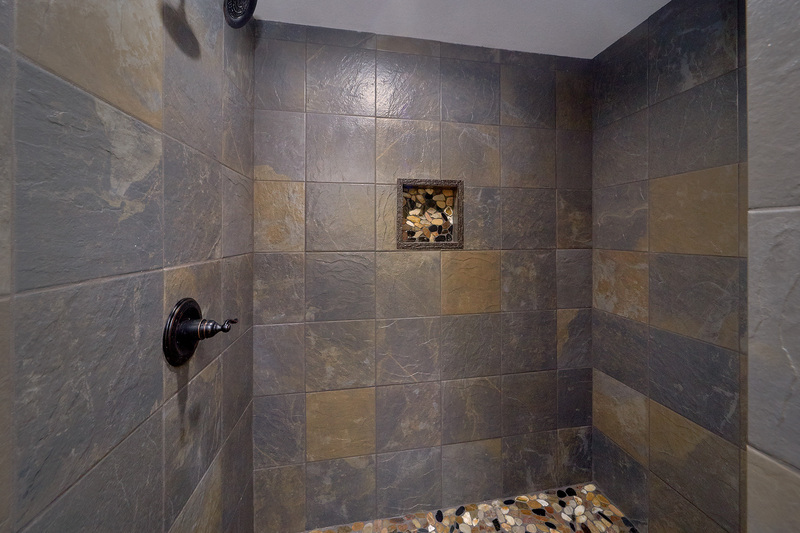 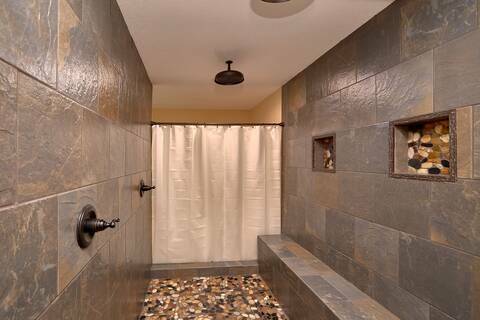 A Smoky Mountain stacked-stone wall is the perfect back drop to an indoor tub and a huge, custom-made walk thru shower makes for a cabin experience like not other. 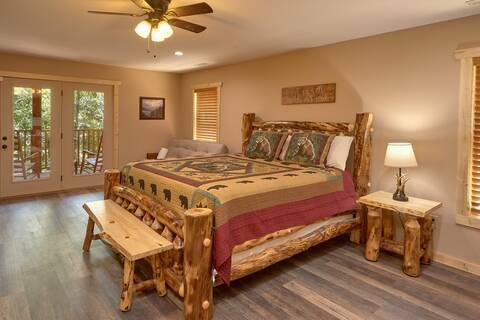 Sleep 2 people on this level. ***LOWER LEVEL- The "Entertainment" level is loaded with amenities. 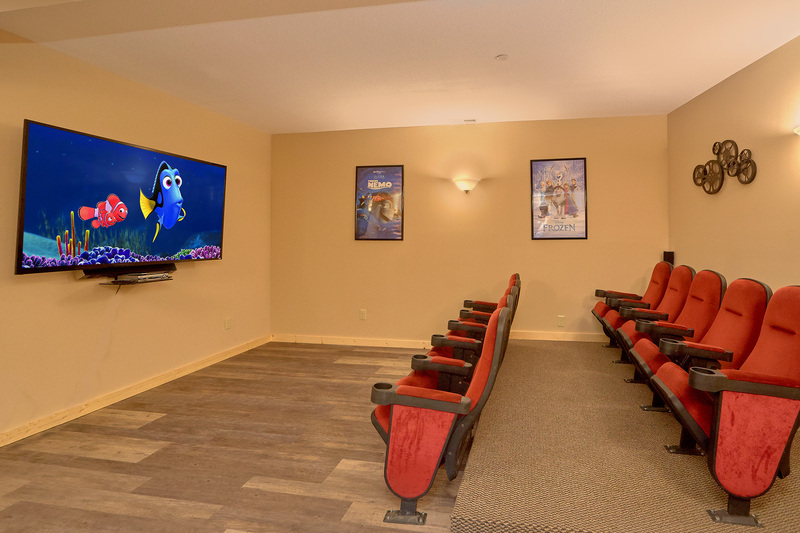 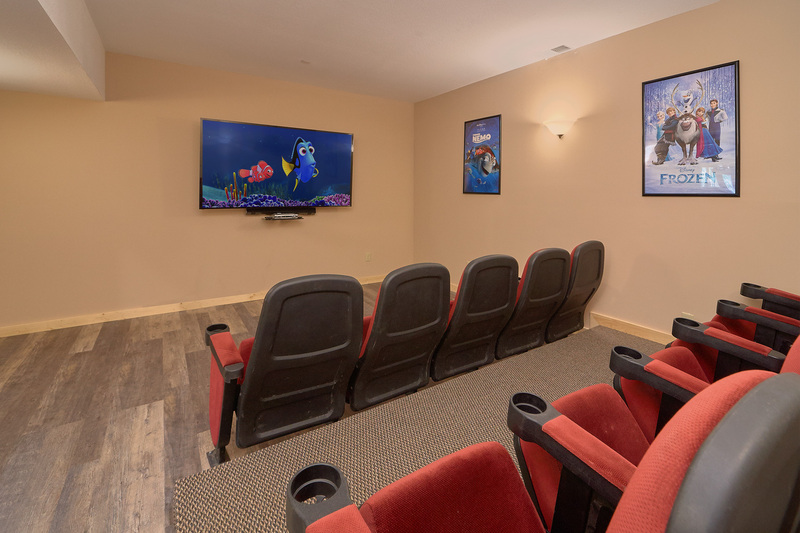 An awesome Theater room with 75 inch HD television is perfect for watching movies, the big game or even doing a business presentation. 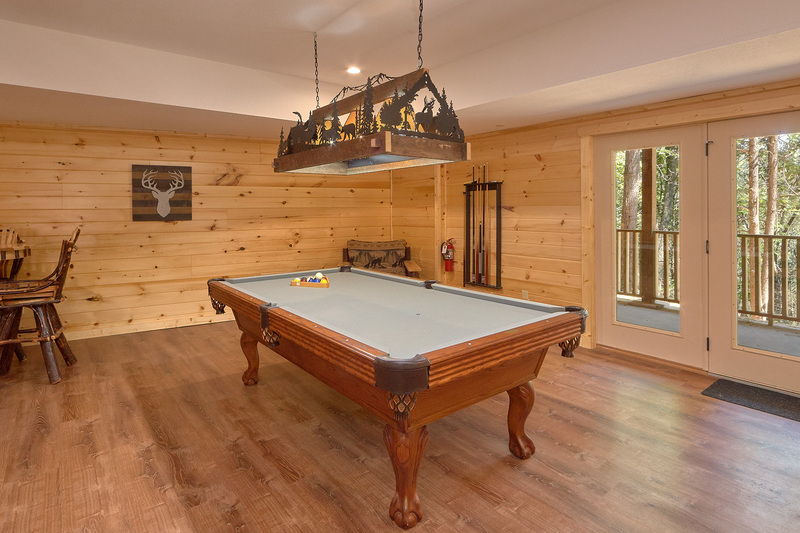 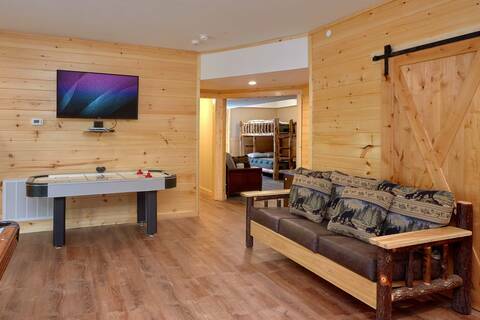 A pool table, air hockey table and video game system loaded with all of your 80's favorites like Pacman, Donkey Kong and Frogger will give you plenty to do during your time in the cabin. Access to a large private deck is on this level where the hot tub can be found. 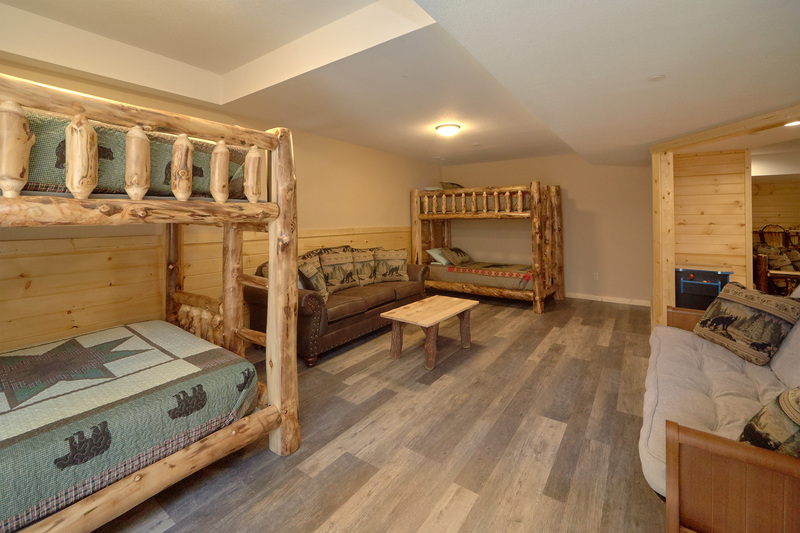 There is 1 large bedroom on this level with one set of queen bunks and one set of twin bunks with its' own private bathroom. Add 2 futons and this level sleeps up to 10 guests.